COST: £20.00 PER ADULT – PRE-BOOKING DISCOUNTS AND CHILD PRICES AVAILABLE! 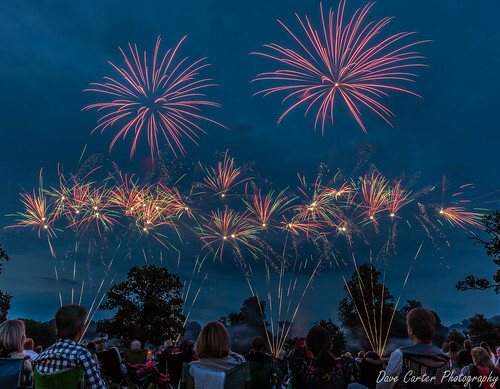 This year Newby hall is the first of 6 events and presents to you 4 fantastic displays in the evening from 3 of the best UK firework companies. Newby Hall is an elegant country house that was designed by Sir Christopher Wren and has been beautifully restored by Robert Adam. The gardens are award winning, there is a stylish shop, restaurant, and even a plant stall to complete the family attraction feel to the property. Parking is available along with disabled parking and will be monitored by staff that will direct you to the appropriate places. Just a note the event caters for all needs but there can be rough and dark sections in some places it may not be suitable for everyone so it is best to check at the booking stage. There is a pre-show entertainment available to give you an insight to the teams along with interviews and other interesting facts. But if you want to get in position to sit and relax with family and friends you can also do this as well you make this event yours. Fancy dining out under the star-lit sky? As the grounds are within a stately home you can take along picnics and furniture, blankets etc. to sit on but under NO circumstances are BBQ’s or open flame appliances on site anywhere. If you do forget your food there is always vendors that will be offering food and drink throughout the evening. Families have been covered children’s entertainment available to keep the little ones quiet and entertained before the show. The Main Event – The competitors produce the best firework displays along to music making the perfect dance partners. After the main event, the reigns are the handed over to MLE Pyrotechnics for the perfect finale. Then it’s down to the voting to crown the champions. This couldn’t be easier, you decide the winners by voting for the favorite by text message from your mobile. 5.00PM – Gates open for entry – Music and interviews broadcasted throughout the evening. An explosive night of fun for all the family. Don’t worry if you can’t make this date, they have another 5 events available throughout the UK.